Spain’s Supreme Court censors the international community and refuses to listen to human rights experts as witnesses in the trial against the Catalan leaders. The Court’s decision to refuse many of the international witnesses and human rights experts evidences the court’s will to prevent authorized and critical voices regarding the legal proceedings that have brought Òmnium Cultural’s president, Jordi Cuixart, and the rest of the accused before the court. It is particularly alarming that the Supreme Court has refused the expert report that technically proves that neither Jordi Cuixart nor Jordi Sànchez nor the people acted violently on September 20th and during the October 1st referendum. This technical study was prepared by an expert of recognized solvency from the Scotland Yard. 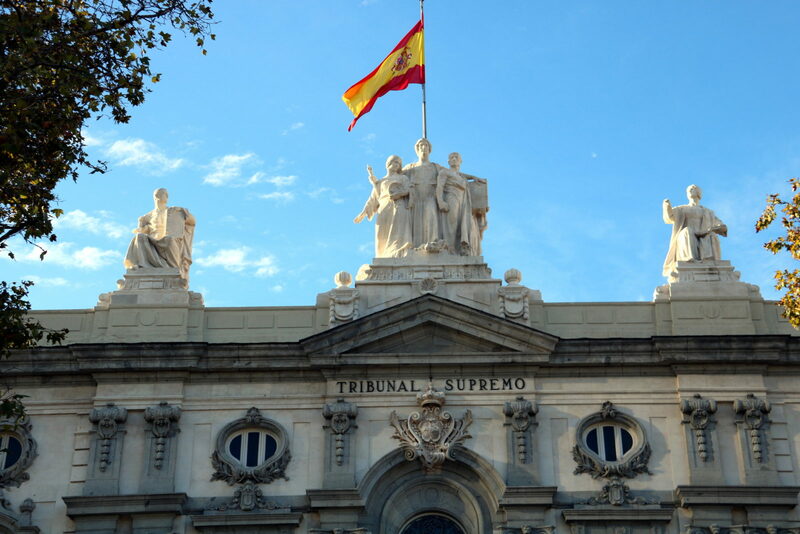 Regarding the witnesses requested by Jordi Cuixart’s defence, the court has rejected those who have spoken up about the violation of fundamental rights and those who, at some point, have pronounced themselves in favour of a political solution in the conflict, such as the signatories of the manifesto ‘Let Catalans Vote’. The Ombudsman, Rafael Ribó, and the UN special rapporteurs, such as David Kaye, Alfred de Zayas and Michel Forst have not been accepted as witnesses. The Nobel Peace laureate, Jody Williams, linguist Noam Chomsky, Bill Shipsey from Art for Amnesty or historian Paul Preston have not been accepted either. “The Chamber estimates that the personal assessments of UN rapporteurs, Nobel laureates, linguistics or historians are dispensable,” says the report from the Supreme Court presented on Friday. In this regard, it should be pointed out that the Chamber has admitted all the witnesses of the Public Prosecutor’s Office and almost all of the State Attorney and the ones presented by far-right political party VOX. On the other hand, in the case of Cuixart’s defence, around twenty witnesses have been refused. At Òmnium Cultural, we once again express our absolute rejection of the connivance of the Spanish institutions with the extreme right. Òmnium Cultural also believes that it is especially critical that the Chamber has rejected the petition to contrast with the Court of Justice of the European Union in Luxembourg if the case against Òmnium Cultural’s president violates the Charter of Fundamental Rights of the EU and the union’s regulations and jurisprudence. This petition was made as a pre-judicial matter in Cuixart’s statement of defence.